We took the girls to the corn maze yesterday. (Which by the way is in the field behind our house) It was fun getting lost and letting them choose which way to go! After experiencing our adventure, I'd be worried if they really got lost in a corn field! It was funny... we came out by the haunted maze patch. At least it wasn't dark when we were there...(they only do the Haunted Maze after dark) or it would have been a disaster! 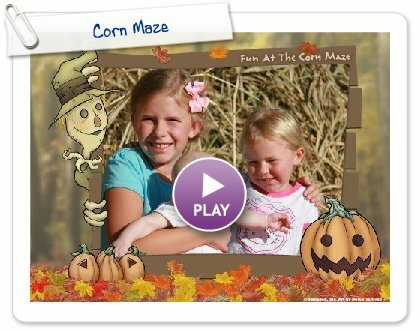 Can you imagine running through the dark corn maze with three kids being traumatized? ?